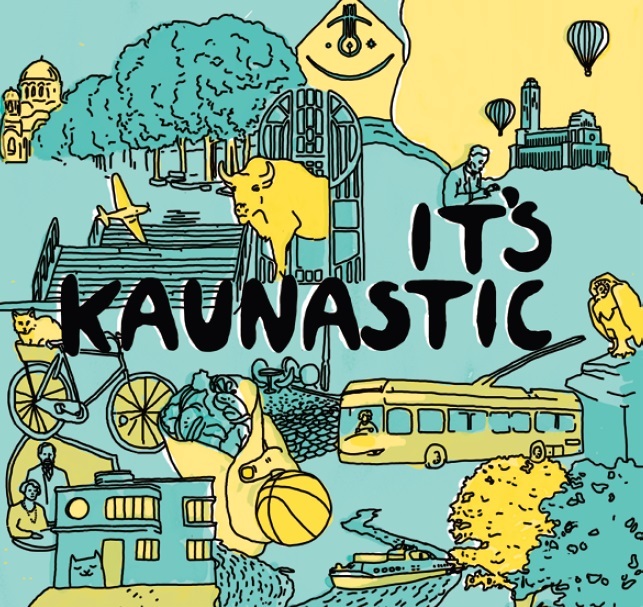 Kaunas city map: the information about attractions and places of initiatives (from street food to museums and memory places), nice illustrations and attractive design. 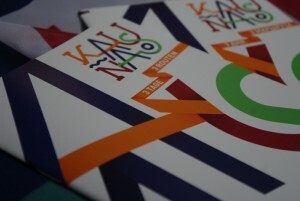 The English version of the map, It’s Kaunastic is available at tourist information centers and other tourist attractions. The broshure includes list of main sights in Kaunas and it‘s surrounding area and some essential informtion: how to spend free time, routes to travel and etc. The broshure includes information about the Hanseatic period in Kaunas: history, interesting facts, urban life, map with related objects, travel deals. 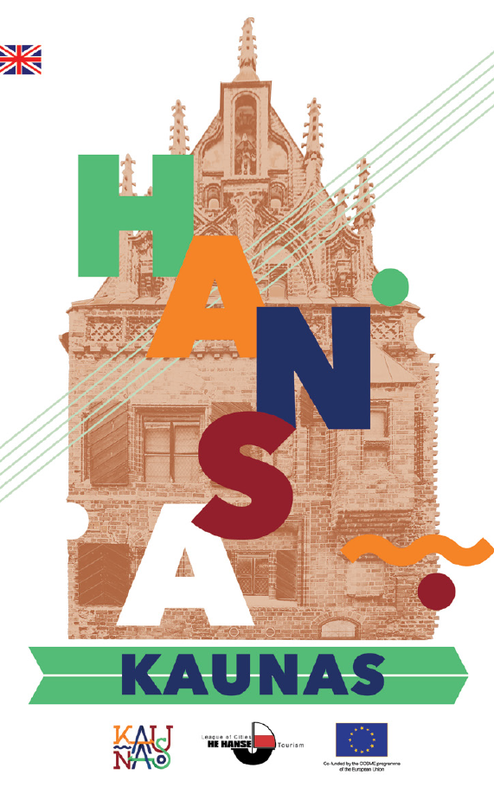 The publication is part of implementation of the project “HANSATOUR, the aim of the project is to promote international tourism in Hanseatic cities. The Kaunas City tourist map shows the Old Town and the central part of the city. It includes list of main sights and some essential informtion: where to stay, how to spend your free time, what to taste, what to bring home. The broshure includes three routes for three days with the main sights to visit. 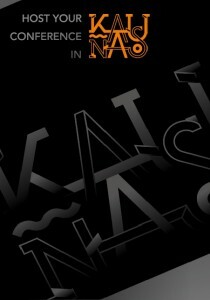 All sights are marked on Kaunas city map. Meeting Planner‘s Guide for Kaunas includes: convention hotels, meeting venues, technical data sheets, professional services suppliers and main city facts. 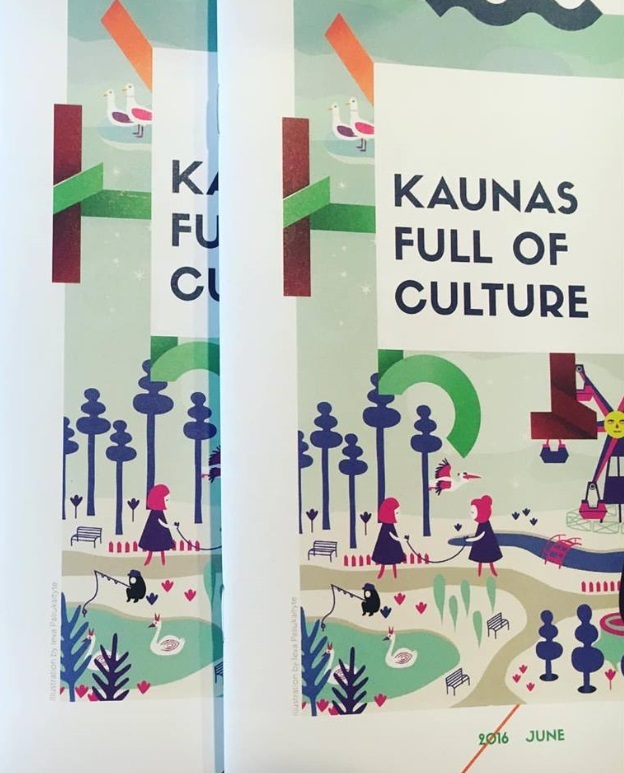 Compiled for professional meeting organisers and event planners, the Guide is a must-have resource for anyone considering planning a meeting in Kaunas. The broshure designed for fishermen. 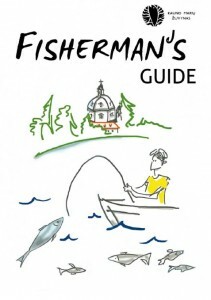 It provides basic information about fishing: information about Kaunas Reservoir, fishing rules, issue of amateur fisherman’s ticket, fishing supply stores and information about the main tourist attractions next to Kaunas Reservoir. 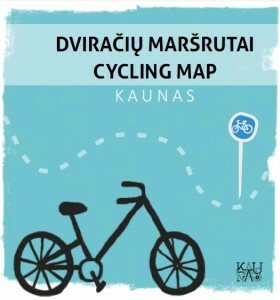 The map contains information about existing and planned cycle routes and trails in Kaunas. The publication contains the essential safety information for cyclists. Publication in Japanese language includes list of main sights, gives brief description about the history of Kaunas and tourist map of the central part of the city. 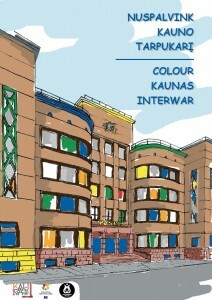 Coloring book presents a unique inter-war modernist architecture in Kaunas. In 2015, Kaunas, famous for its interwar modernism architecture, received the European Heritage Label. It represents today the outstanding heritage of a flourishing golden period when the city of Kaunas was the temporary capital of Lithuania. Europe starts in Kaunas of 1919-1940! 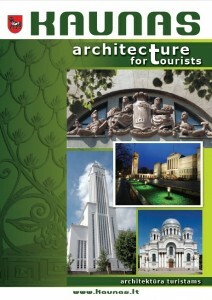 The broshure includes information about different architectural styles prevailing in Kaunas. 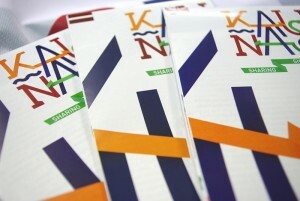 This publication presents objects and historical events related to France and French in Kaunas. Main sights marked on the map. 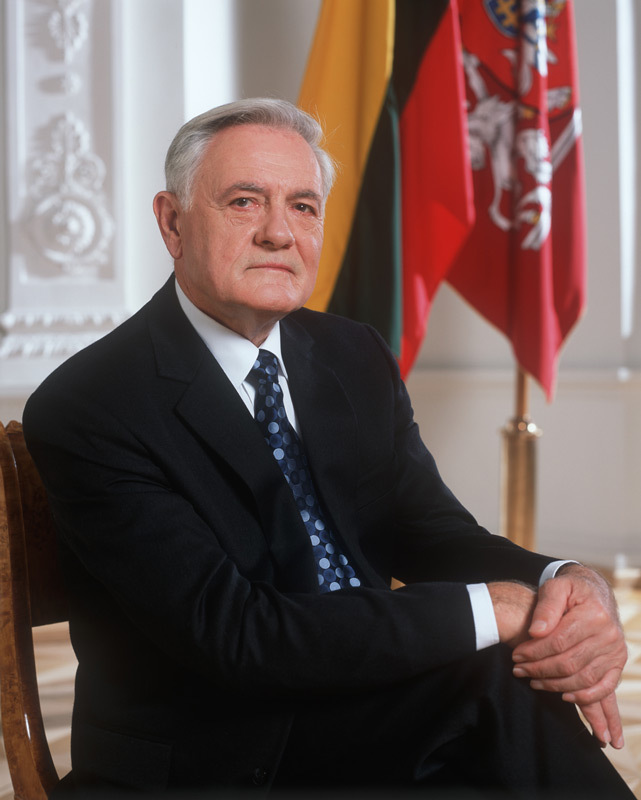 One goal of this publication is to contribute to the spread of the unique cultural and historical heritage of Lithuanian Jews, along with the cultivation of mutual respect for the cultures of national minorities, and the spread of ideas related to tolerance.